Recent data from trade sources indicates that Nigeria’s crude export has shown a consistent increase since the beginning of the year and would likely reach a six month high August when Total’s USAN FPSO begins production. Total’s second biggest project offshore of Nigeria, the Usan FPSO, with an unprecedented local content of 11 million man- hours of work, has cast off from its ‘cradle’ in South Korea to begin tow out from the HHI shipyard and sail-away for an estimated three-month journey to Nigeria. It is due to arrive at the end of July. The FPSO is 320m long, 61m wide and 32m high; weighing 125,000 metric tons with a storage capacity of 2 million barrels. It has 7,500 metric tons of modules built in-country by Nigerian companies. It is carrying 177 people who will remain on board until they are relieved by a new crew. Another partial crew change will then follow off Walbis Bay in Namibia. The crews due to handle mooring and connection operations and prepare for start-up will not board until after the FPSO USAN has arrived in Nigeria. The crew will be busy throughout the journey carrying out some of the commissioning work, ensuring maintenance of the installations and also making good use of the time to get to know the vessel better. Between July and December, the project will continue with the Mooring and Hook-up operations (to connect the FPSO to the wells and production lines already in place) and the offshore commissioning. 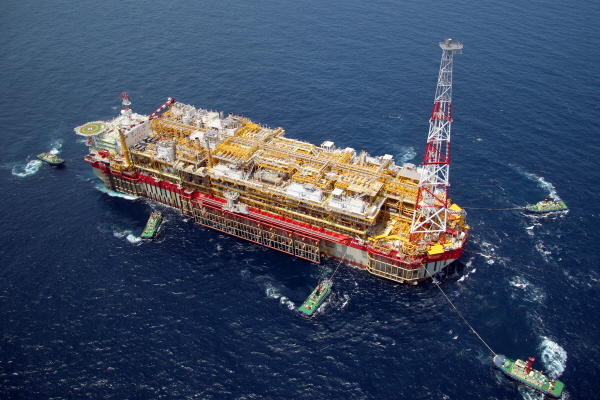 Operational start-up of the FPSO and first oil on the USAN field are scheduled for early 2012. Production is expected to peak at 180,000 barrels per day. The rise in export is undoubtedly attributable to strong demand for crude globally, sustained relative calm in the oil producing region and reduced attacks on oil infrastructures and pipelines. According to a recent Reuters survey, total Nigerian crude exports were expected to be around 2.2 million barrels per day (bpd) in June, up from 2.0 million bpd due in May and 2.1 million bpd sold in April, according to trade estimates based on provisional loading programmes. This increase implies that trade from Nigeria could reach 2011 highest levels in June.